Content plays an important role in digital marketing of the company. A good content will always attract the user and helps the website to be ranked in the google pages. It’s always better to have a unique content marketing strategy, like to determine where the content should be. CMS popularly know as a content management system makes it easier to publish content. For promoting the business gaining customer attention through social media is very important which can be obtained by regularly publishing of good content. The business owner’s main goal in will be to increase the search engine ranking in the google pages. First come first serve is the key principle, which means the higher the ranking, the higher probability of the website being clicked. Better ranking on search engines requires content strategies. Joomla Site Design make it possible by helping to easily and effectively updates content. One of the important benefits of Content Marketing with Joomla is helps in content management. For online marketing to be successful, controlling and updating the content regularly is necessary. Content management systems can be incorporated through multi users such as Joomla which helps in updating content regularly on a consistent and simple manner. Joomla is a profitable component of online marketing investment. To meet the business objectives, If website requires more blogging and a handful of pages, eCommerce plugins of Joomla can increase company’s online presence. A major challenge for many digital marketers is content marketing. Content strategies for Joomla websites are used to amplify on the potential of content. The strategies that are structured and targeted in Content marketing are worth spending time and effort. The content that is created and updated on regular basis helps to grow your online business. And carrying out this strategy successfully on Joomla websites. Regular posts and updates are vital for a result oriented online marketing strategy. CMS can incorporate simple strategies such as blogging or explore deeper into options such as Joomla for powerful content management. For the growth in the future, the website needs to be able to handle the changes that will be made. Topics should be updated and content management systems need to be organized for progress. A Joomla helps you with editorial content and a place where your content ideas can be accommodated. Joomla software provides a content management system that tracks the content on your site CMS is responsible for managing all content and we need to not to worry about how it is managed. 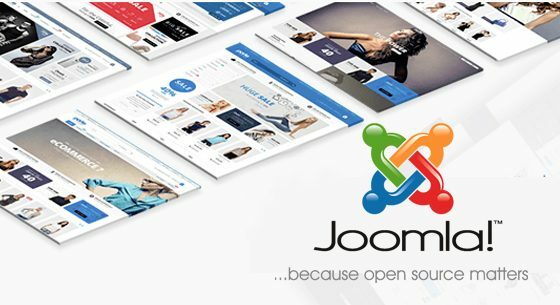 Joomla is used on a global scale for powering all types of websites. The content is always a valuable to any website and periodic option and editing of content play an important role competitive world of online business.